Danish participation in cross-border criminal law measures is symbolised by 'The Bridge', the 'Nordic Noir' series about cross-border cooperation in criminal matters between Denmark and Sweden. But due to the changes in EU law in this field, that cooperation might soon be jeopardised. As a result, in the near future, Denmark will in principle be voting on whether to replace the current nearly complete opt-out on EU Justice and Home Affairs (JHA) law with a partial, selective opt-out. I have previously blogged on the implications of this plan in general terms, but it’s now clear exactly what this vote will be about. First of all, a short recap of the overall framework (for more detail, see that previous blog post). Back in 1992, Denmark obtained an opt-out from the single currency, defence and aspects of JHA law (it’s widely believed that it also obtained an opt-out from EU citizenship, but this is a ‘Euromyth’). These opt-outs were formalised in the form of a Protocol attached to the EU Treaties as part of the Treaty of Amsterdam. The JHA opt-out was then amended by the Treaty of Lisbon. At present, Denmark participates in: the EU policing and criminal law measures adopted before the entry into force of the Treaty of Lisbon; measures relating to the Schengen border control system (as matter of international law, not EU law); the EU rules on visa lists (as a matter of EU law); and the EU’s Dublin rules on allocation of asylum applications, ‘Brussels’ rules on civil jurisdiction and legislation on service of documents (in the form of treaties with the EU). 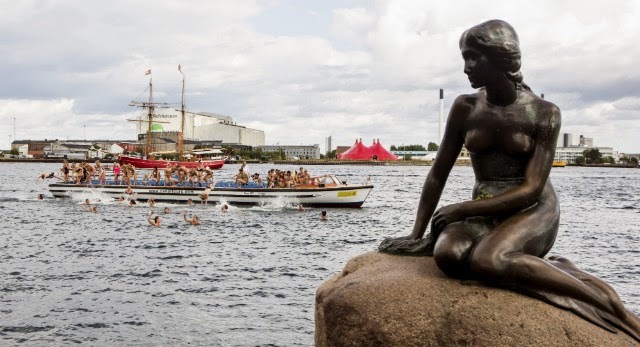 In contrast, Denmark does not – and cannot – participate in other EU rules on immigration and asylum law or cross-border civil law, or policing and criminal law rules adopted since the entry into force of the Treaty of Lisbon. The Protocol on Denmark’s legal position either allows it to repeal its JHA opt-out entirely, or selectively. If it chooses to repeal the opt-out selectively, it would then be able to opt in to JHA measures on a case-by-case basis, like the UK and Ireland, although (unlike those states) it would remain fully bound by the Schengen rules. Indeed, those rules will then apply as a matter of EU law in Denmark, not as a matter of international law. In practice, while Danish governments have promised for a while to hold a referendum on the JHA opt-out, the concrete plans to hold one in the near future were triggered in light of the planned EU legislation to replace the current rules establishing Europol, the EU police agency, with new legislation (on that proposal, see here). This led to an agreement between the government parties and several opposition parties (excluding the far-right Danish Peoples’ Party) known as the ‘Agreement on Denmark in Europol’ (for the text, see here). This agreement states that the referendum will take place after the next general election (which must be held by September 2015), and no later than 31 March 2016. The ‘main reason’ for the referendum is to allow Denmark to opt in to the new Europol rules, but the parties also agreed to study whether Denmark should opt in to other EU civil, criminal and policing laws which currently don’t apply. However, the parties agreed that Denmark should not opt in to any EU immigration or asylum law (besides Schengen, which already applies). This analysis has now been completed (see the text in Danish here), and the parties have agreed that Denmark would apply to opt in to 22 EU laws if the referendum is successful. Conversely, they have agreed not to opt in to 10 other EU laws. As regards civil cooperation, the parties have agreed to opt in to large majority of EU measures, as regards: insolvency; payment orders; small claims; the European enforcement order; mediation; the Rome Regulation (on conflicts of law concerning contract); the Rome II Regulation (on conflicts of law concerning non-contractual liability); external relations; protection orders; inheritance; maintenance proceedings; parental responsibility; and account preservation orders. It should be noted that changes to the insolvency proceedings regulation are about to be formally adopted, and changes to the small claims rules will likely be agreed later this year; presumably the agreement also entails opt-ins to the existing legislation as amended. In contrast, the parties agreed not to opt in to legislation on legal aid in cross-border proceedings, or to the Rome III Regulation on conflicts of law in divorce cases. Nor have they agreed yet on whether to opt in to the pending proposals relating to jurisdiction and choice of law over marital property, and the property of civil partnerships, in the event of relationship breakdown. In general, the recent agreement states that decisions to opt in to measures which have not yet been adopted depend on a future consensus of the relevant parties, or endorsement in a general election. As for policing and criminal law, the parties agree to opt in to all measures concerning substantive criminal law and most measures concerning EU agencies and mutual recognition. In particular, they agree to opt into seven Directives, regarding: the European Investigation Order; protection orders; trafficking in persons; sexual abuse of children; cyber-crime; market abuse; and counterfeiting the euro. Conversely, they rule out opting in to the legislation on crime victims’ rights, the three Directives on suspects’ rights (concerning interpretation and translation, access to a lawyer and the right to information) and the rules on confiscation of criminal assets. They also rule out opting in to the legislation on EU funding in JHA matters. They have partly agreed on future measures in this field, agreeing to opt in to the Regulations now under discussion on Europol and Eurojust (the EU prosecutors’ agency) and the Directive on passenger name records, but to opt out of the legislation establishing the European Public Prosecutor. The Commission has also proposed legislation on the European Police College, fraud against EU funds and drug trafficking, along with three more suspects’ rights measures (concerning childrens’ rights, the presumption of innocence and legal aid). Decisions on those measures will again depend upon on a future consensus of the relevant parties, or endorsement in a general election. The parties’ clarification of their intentions provides useful certainty for the Danish public when it has the opportunity to vote on these issues. In general, in criminal matters Denmark would be participating in the EU measures assisting the prosecution, without any counterbalance by means of recent legislation regarding the rights of victims or suspects. Similarly it would still be participating in the Schengen rules on external border controls and the abolition of internal border checks, without any of the accompanying harmonisation of immigration and asylum law that applies to other Schengen States which are EU members. On the whole, Denmark would also be participating in more JHA legislation than the UK and Ireland – not just as regards full participation in Schengen (as is already the case), but also as regards the EU legislation on inheritance, account preservation, investigation orders, market abuse, currency counterfeiting and Eurojust, all of which one or both of the UK and Ireland have opted out of. On the other hand, the UK and Ireland have opted in to the EU legislation on crime victims’ rights, some of the legislation on suspects’ rights and the first phase of EU asylum law. Given that Ireland participates in the single currency, a Danish 'yes' to selective participation in JHA law would cement the UK's position as the chief non-participant in EU laws which bind most other Member States.